As I walked into Federal Government College, Malali in Kaduna State, it just reminded me of those years when I was coming around as an undergraduate student to speak during their FCS meeting. Over 15 years have rolled by. Today, I drove into the school as part of the Career Flexibility Project. Thanks to Mrs Folashade Imenger who linked me up on who to see. The tossing around from the offices of the VP - Student Affairs who was not available to the VP - Admin, followed by the VP - Academics and later the Principal quietly reminded me that I was in a Government establishment. Patience became a virtue. I ended up counting about 3 hours waiting period before my mission was accomplished. 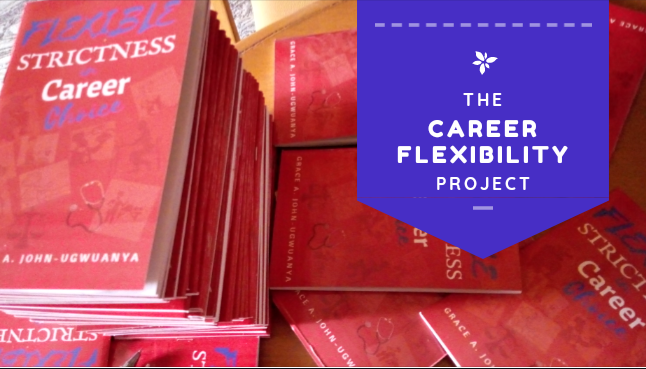 Those hours were not wasted as I had 100 copies of my new book "Flexible Strictness in Career Choice" to autograph. I have autographed books before but I have never autographed 100 books in less than 3 hrs. Thanks to Edwin Peprah, an alumni of FGC, Malali who sponsored the 100 copies that were donated to FGC, Malali. I won't forget to mention other alumni: Patricia Oria-Arebun and Anejo Timothy Edache whose excitement about the project was so infectious. Since the students were having classes, I couldn't get the time to talk with them. However, I gave the VP - Admin ninety (90) copies for distribution to the students and ten (10) copies to the school library. I was quite impressed by the maintenance culture of FGC, Malali. I'll have to plan a facilitation talk with the VP - Student Affairs for next term. This is officially the beginning of our Career Flexibility Project with 100 copies distributed. 1,900 more books to go. Gift a student a free copy of "Flexible Strictness in Career Choice. 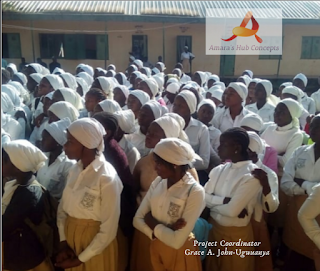 For details on the project objective and sponsorship, click DONATE. Imagine a misguided youth waiting for 7 years at home because they are bent on studying Medicine & Surgery before succumbing to the realities of life. If you need copies of the book, feel free to send a DM. 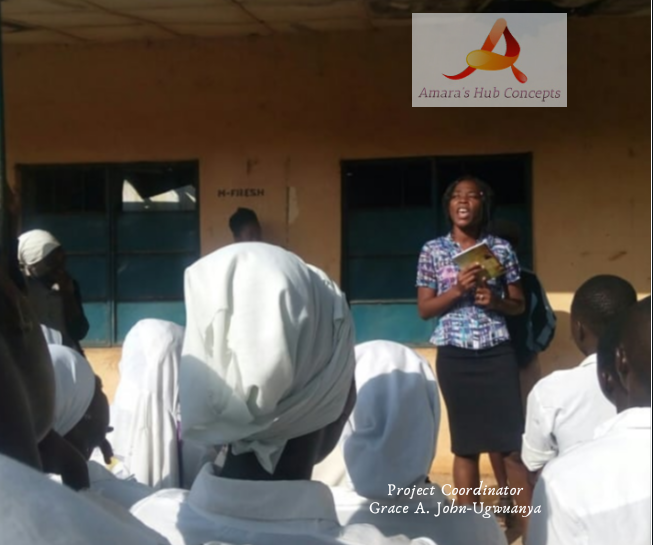 "The girl is 15 yrs old, presently in JSS 1 and cannot read nor write." 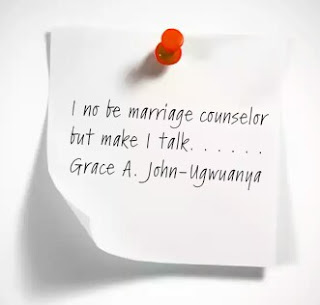 These were the words I heard from the Principal as she instructed one of the teachers to send for the girl. 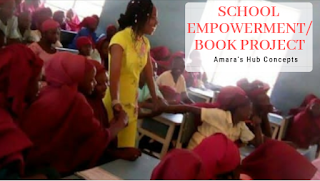 How did she finish primary school If she cannot read or write? As she came into the office looking timid and withdrawn, the Principal gave me the opportunity to ask her a few questions. Me: Do you know how to read and write? Me: Do you want to learn how to read and write? Her face suddenly got enlightened as she said "Yes". I tried to access how bad her reading skills were by giving her a book to read and pronounce the words she knew. It was very unpalatable. Further inquiries revealed that her family background and I was told that her father said he was waiting for time to roll fast so that he can give her out in marriage. She had been in and out of school, when she was sent to work as a househelp. 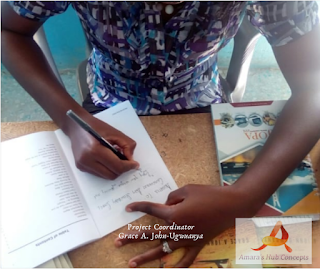 "She will not understand what is being taught in the class or pass her JSS 1 exams if she can't read or write. Can you make arrangements for her to enrol in an extramural lesson, I will pay for it. Please tell her father about my decision." Her smiles after the discussion signified hope in herself and her teenage dreams. The RIPPLE EFFECT of the School Empowerment/Book Donation project brought up unique scenario that we didn't envisage when we began. I interrupted the assembly as a teacher held a scissors to cut the hair of a girl because she wore a hairstyle that contradicted the rule. The crowd of about 200 students bullied her while the other teachers watched. The girl was at fault. Her overall appearance did not comply with the laid down rules. But as she was told to walk up to the front of the assembly ground, her eyes were red with tears flowing, which she hurriedly dried up. I knew she was embarrassed. For me, this was enough punishment. 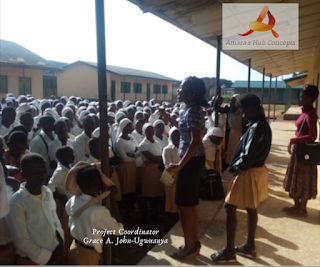 I waited patiently since I had to address the entire students, as part of my School Empowerment/Book donation project. The timing was not right for me 'cos the humiliating act of cutting the girl's hair was to be done before I would speak. "Put the blame on me. You may do it later but not before I speak." I was so certain that the shame, low self-esteem and the effect of that action would make her not to hear anything I had to say. Since I insisted, the Principal and teacher had to give in. This became the platform on which the talk began. For God's sake, I would also talk about my book UNCLOG THE CLOG to the students, with emphasis on how I overcame low self-esteem. I could not stand watching it happen. "I used to be like her when I was a teenager. I was a stubborn ..........". This caught the attention of everyone as they listened to my talk. When I was done, I made the girl promise before the whole school that she would comply with the rules over the weekend and resume on Monday looking presentable. The teachers were not left out as I made them realise that their attitude and use of words over the students should be done with care. The counselling sessions I have had with some teenagers and young adults reveals that their struggle with low self-esteem began when they were disgraced before their classmates. Ten (10) copies of "UNCLOG THE CLOG: My adventure to find me" was donated to the school library of Government Day Secondary School, Sabo. To meet up the assembly, I had to be at the school by 7:30 am. 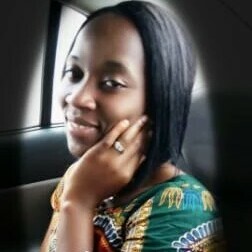 Thanks to my team member Uche Oliver. Amara's Hub Concepts embarked on a School Empowerment/Book Donation Project with a target of inspiring the lives of over 2,000 students attending fifteen (15) different schools. Donation of ten (10) free copies of my book ''UNCLOG THE CLOG: My adventure to find me'' to the libraries of each school was our community impact project aimed at breaking every self-limiting beliefs that could deter the students from taking steps towards their goals. First successful outing was in Queen Amina College, Kaduna (an all-girls school) where we marked the International Day for the Girl Child to support the girls to take the lead and influence decisions that matter to them while harnessing the power to transform their future. 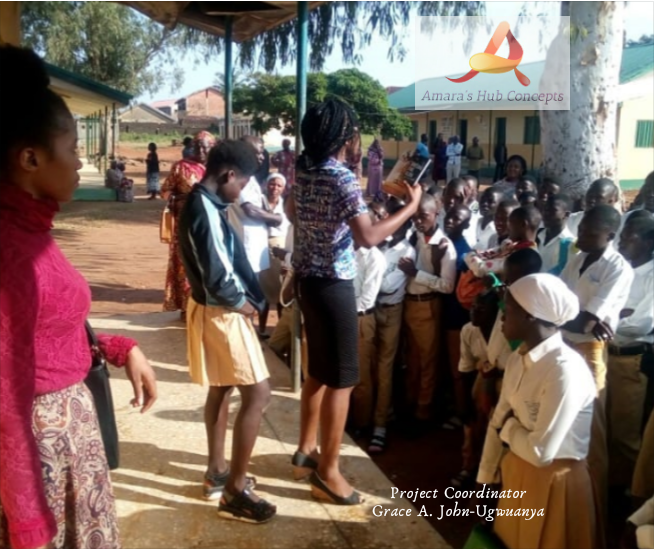 As I discussed with the school principal about my intention to hold a youth empowerment programme in the all-girls school and to commemorate with the International Day for Girls on 11th October, her response shocked me. 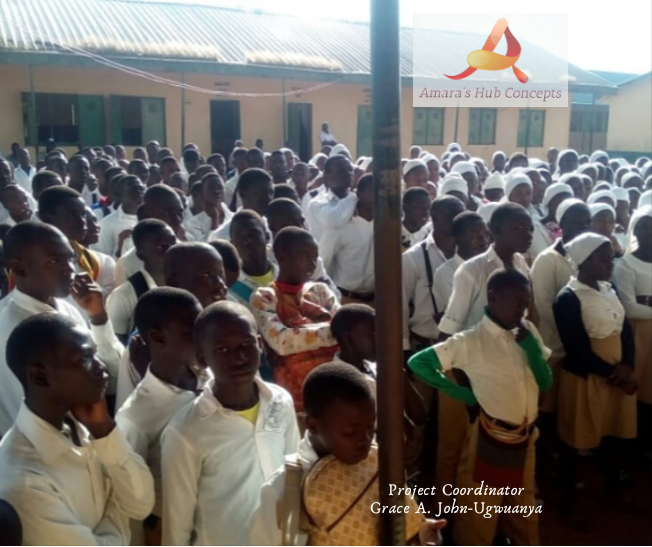 "Ideally, we need to get permission from the Commissioner of Education and Zonal Director before handling such programs. In your case, we will boycott protocols. We have some students who repeated their previous classes and most of them are discouraged and depressed. A mother broke down in tears 'cos her daughter was told to repeat a class. I'll give you audience to talk to those students"
My brief chat with her about who I was before and where I am today was strong enough to break protocol. 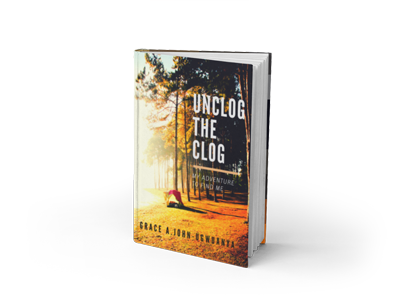 I told the Principal that it was one of the reasons why I wrote my book: UNCLOG THE CLOG: My adventure to find me. I wasted lots of time with low self-esteem, self-pity and depression. It would have been shorter if I was privileged to leverage on the experience of mentors. I desire that these students get it right early despite failure or other setbacks. Influencing lives especially that of young people is a passion that keeps my mind sane. Our slogan remans ''Working together, Influencing lives''. I definitely don't like Nigerian politics and rarely read or listen to political news. Why did he think of me out of all the guests that have graced their platform? On further inquiry, I was told that the focus was on the solution to negligence of people with disability as the campaign for 2019 heats up. I told him that I would be around. Here was I, in an important meeting with Elisha Mamman that wouldn't give me time to browse the internet for information that would guide my speech. By the time the meeting was over and I drove to Liberty FM, it was barely 15 mins to being on air. This was when I knew that I have read wide in bits and had plenty stored up knowledge seeking for expression. The anchor person on the radio show could not hide his shock after the session was over. My favourite fan (my husband) listened and was overly impressed 'cos he hadn't seen this political side of me. We often pray for opportunities but are we really prepared to deliver with excellence when the opportunity comes? Personal development cannot be overemphasized. Keep improving yourself in every phase of your growth as you make effort to show up towards your dreams. KEEP IMPROVING AND SHOWING UP. Copyright © 2016-2018. Amara's Hub. All Rights Reserved. I can't even remember how I came across the name Remi Owadokun. 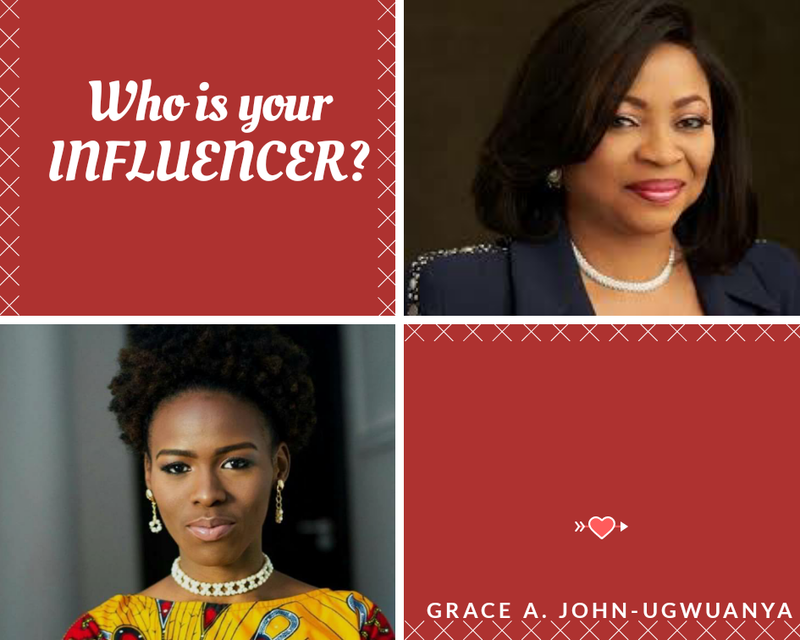 All I can remember is that in my pursuit to live a life of purpose and influence, names of individuals who have taken giant strides towards their dreams began to float around me. You attract what you desire. Remi is one of such personality. Tidying up my PhD thesis has not given me the luxury of time to study this phenomenal young woman. But I must say, when I got to know that she does not have a university or college degree, it had to reawaken my drive to pursue and live a life of purpose much more with "all my university degrees". 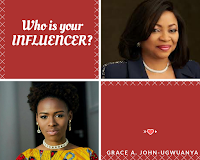 As I began to write this piece a few days ago, I came across another write up in a blog about one of the richest women in Africa, Folorunso Alakija. According to the billionaire, she made a revelation about her life that she was able to achieve greatness in life even without a University degree. This loosened some nuts in my brain. These women made me realise much more that sometimes our academic degrees could be the prison walls holding us back from creativity and becoming a personality of influence. 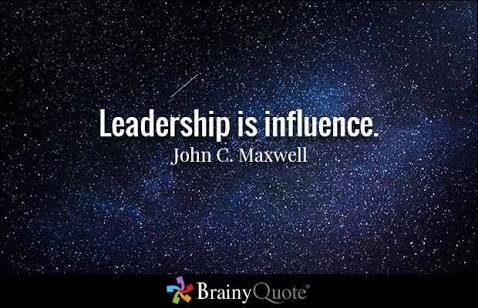 I'm not talking about being a local champion alone but global figures of influence. I don't know Remi Owadokun personally but with social media, how far your influence can go knows no bounds. 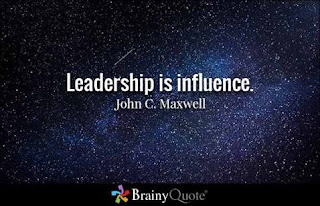 In my journey of becoming a person of influence, I had to come down from the high horse of career accomplishments or age as a factor to humble myself and learn. While I look up to older folks who are exceptional in their craft and successful, I am more fascinated by younger individuals (anyone I'm older than) who break predefined limits and are setting mind blowing records of success. Some of us are typical with age. We close our minds when we see individuals far younger than us achieving what we are yet to IMAGINE. Pride won't let us. After all, I'm older than him/her. By virtue of age, I'll term myself big sister but when it comes to influence and knowing her stuff, Remi Owadokun is a MOTHER HEN. 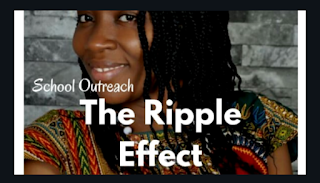 What changed her life was using her personal story to make a difference and create her brand. She is always known for this slogan "Too Late To Be Nobody". I don't know what is holding you back. You may have sincere excuses and obvious challenges. But to live a life of impact, influence and purpose, you need to shift your focus. Copyright © 2016-2017. Amara's Hub. All Rights Reserved. I read an article by Oracle Zents titled "when a Degree is not who you are" and it made me realise the shift in mindset that has defined many young graduates. I got to know recently that Gani Fawehinmi graduated with a "Pass" from the university but wielded more influence than some first class and second class graduates. "From Gen Gowon to Military President Babangida, they were all scared of Gani Fawehinmi. Gani was a friend of the sick and the poor, a philanthropist with special attention to education where he noted his own weakness. He gave Nigeria his all, energies and commitment to the rule of Law and love for humanity. What you make out of your University education depends on what you put into the society. Your degree is not a waste it is template for you to understand life and contribute meaningfully to the society. The man who made a difference is the one with education to improve his environments not the paper qualifications. Have a renewed spirit and mind in how you see life. Let you goal in life be guided with your contribution to your society. Never looked down on anyone who came out of the University with ordinary pass. He could be the one to make a difference." We are wired differently when it comes to education. Individuals who may not display sharp academic excellence could turn out to be exceptional leaders with international influence. 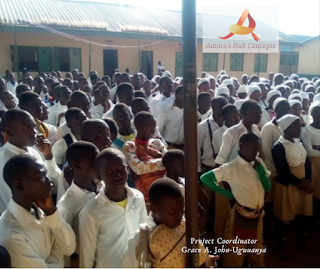 We have technical experts, intellectual gurus, business tycoons, architectural artist and people in various spheres of life who are impacting their world. Paper qualifications has become the undoing of our youths and the Nigerian system. 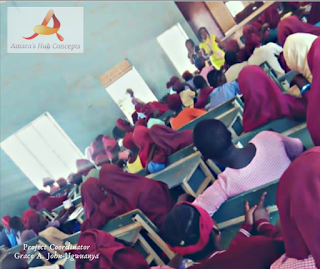 If we can begin to look beyond ourselves and take education as a platform to influence our society, we will have a better system. One of my strengths is academic pursuits. 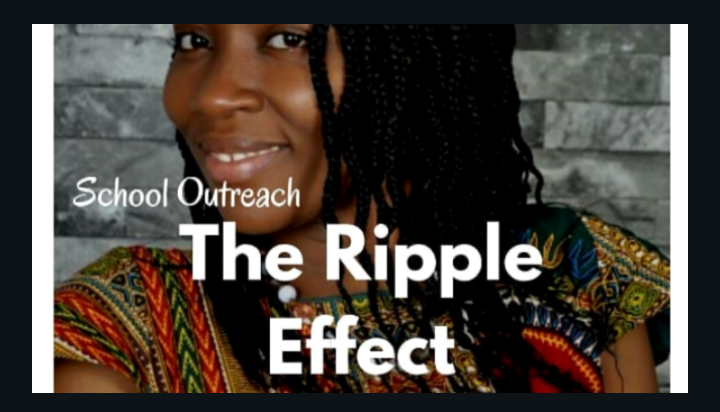 Although I am in the concluding phase of my Doctorate degree, living life to impact and influence others is my driving force. Have you found your own purpose? To join our Facebook community click Amara's Hub. Copyright © 2016 - 2017. Amara's Hub. All Rights Reserved. WHO SAID YOU CAN'T FLOURISH IN A TRADE? The creativity of a lot of persons has been crippled because instead of looking at academics as a means to an end, it became their end. Sitting idly for years at home in search of a white collar job and becoming so full of one's self to take on a blue collar job becomes the high wall that most job-seeking graduates erect around themselves. We don't see possibilities but only limits. Who said you can't carve out a niche for yourself? Who said you can't be an exporter of crayfish and earn in foreign currency? Who said . . . . . ? I listened excitedly as a lady told me that she was working as a fashion designer after her graduation from the higher institution. This occurred after years of scouting for a job without success. As at our time of discussion, she was about resuming for her Master's degree. Nobody wants to fail or be tagged a failure. But when you choose to have the right attitude, failure or any form of delay is a great teacher. This can only happen if you have the right attitude. Unemployment, occasional setback and failure should not stiffen the creativity in us. I experienced academic failure when I was in secondary school (read story here). "Failure has a way of interfering suddenly with your routine and provides you an opportunity to discover new solutions." Although I've developed a strong flair for academic certification, expanding my mind to see opportunities beyond obtaining degrees has kindled a fresh flame that lied dormant before. While most of us canvass for basic academic qualifications, I am of the opinion that we should look at life, in pursuit of our dreams beyond certificates. Think, plan and act beyond academic certificates. Live for impact. Be proactive and make the best use of your time. You can subscribe your email to get update on our blog post. That Wednesday seemed to be a normal shift as everyone was focused on their daily schedule. In the midst of the silence that caressed the morning hours at the office, Bola suddenly screamed, "I place a curse on the person that took the document". Her work colleagues raised their heads in shock and wondered what should warrant such statement. Has it come to that? Offences will always brew up at the workplace. 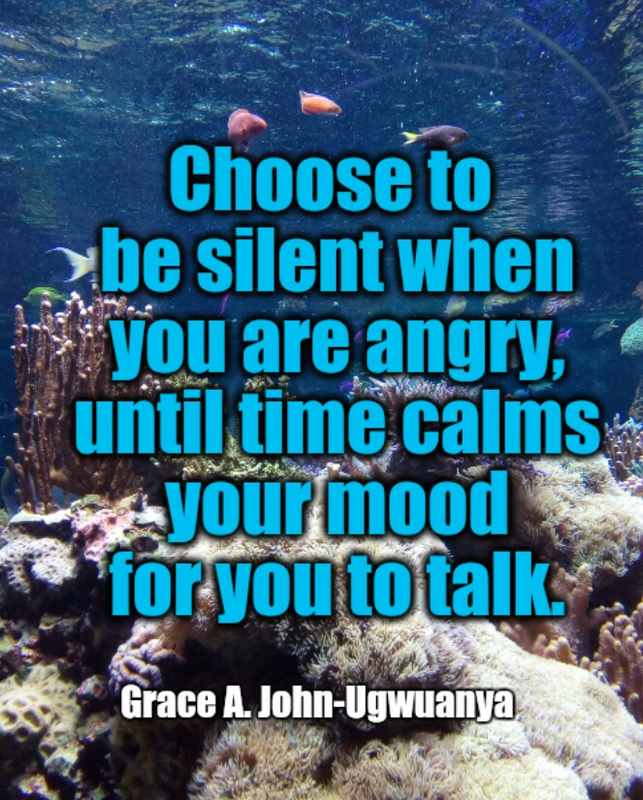 Some could be so annoying that you loose your temper and interest in the job. At other times, you get so pissed off and experience a bad day. But at such times, what is the right attitude to display? 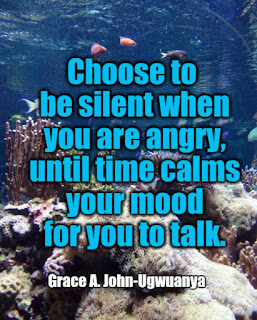 For me, occasional outburst to show your displeasure is acceptable. Choosing to express your dissatisfaction to the individual in question is a formal approach. But deciding to rain curses with further statements that nobody will eat your sweat, when the issue does not warrant it is uncalled for. Religious folks who believe in vengeance prayers and damnation to their "enemies" should strike a balance between who their true enemy is and a colleague at work who stepped on their toe. There are different ways of expressing your annoyance, especially in a corporate organisation. Learning to resolve conflicts without uttering statements that wound the soul and tarnish your hard-earned reputation should be your goal. While this piece is geared towards the workplace, the lessons learned should transcend to other areas of our lives. Let the words of my mouth, and the meditations of my heart be acceptable in Thy sight, Oh Lord. Do you tear others down with your words? Do you blackmail close associates to your advantage? Do you spit out words that cut deep into the heart, leaving the hearers depressed with suicidal thoughts? I have been a victim of hurtful words that stole my drive for life. Being a writer, I also know the effect that words can have on my readers. If you and I will decide to tame our tongue and speak soothing words, the world will be a better place. 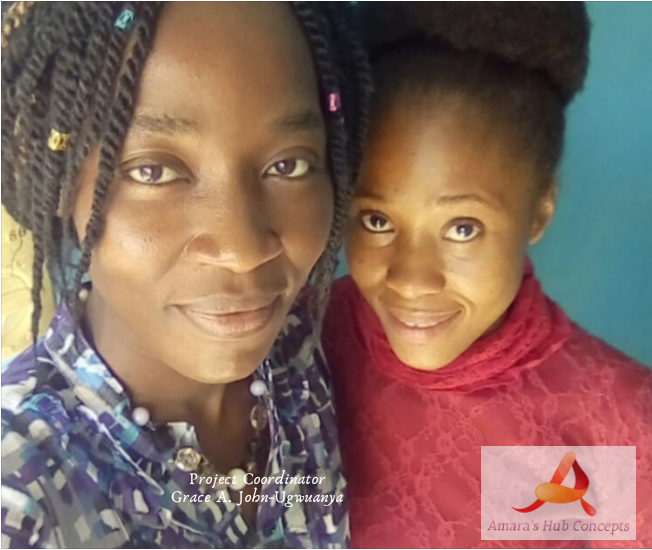 Join our Facebook community Amara's Hub. Like our Facebook Page. Discovering your path through writing and crafting out a niche that sparkles your heart comes from within. How do you know what to write when there are millions of books in existence focused on different areas. The list is endless! !! !!! Your ability to get clarification on what to write on, will guide you in crafting out your words in a sell-able format that keeps your readers glued to the end. Emeka Nobis is one of such writers. In this book "Addicted to writing", you will learn to become purposeful in developing the art of writing. He revealed the need to lure your readers while transfixing the words in their hearts, where it unleashes its true meaning. You will also soar in your journey of creating a brand for yourself. "minister to you in profound ways that lend meaning to your existence and stirs you to move in the paths of relevance and significance." The impact of Emeka's words, works and training kicked off my writing career and made me become deliberate in writing. Read on it here. When you get hold of "Addicted to writing", you will not get only knowledge but you will be mesmerized by his use of words, which gives you a glimpse into the heart of the writer. Personally, I am still understudying this exceptional thought leader Emeka Nobis. Imagine reading a book and the writer reveals how he masters his art like a sculptor who designs his architectural piece that leaves onlookers in awe. You will learn to package your passion for writing to a tangible product that yields monetary value. Yes! This takes commitment, persistence and staying true to your core purpose but the dividends is worth the wait. To pre-order, click Pay now. Notable authors that we revere, who have been graced with high accolades were once unknown authors. How did they become a celebrated writer? By writing. You learn to write by attempting to write. Make the mistakes and take the corrections. Be consistent. Be committed. 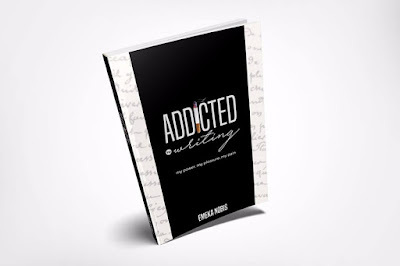 ADDICTED TO WRITING will spur your greatly. Pre-order now by clicking Pay now. Kadiri derived pleasure in spending his whole day at home. Although, he was a fresh university graduate, the comfort of his parents' home seemed to be what he craved for. Kadiri didn't think that he was becoming a disgrace to himself. At 28 years, he turned down job offers due to flimsy reasons that they were not his dream jobs. Playing high tech games on his iPad and mobile device became his new obsession. On the other hand, Bayo had a job expertise in begging. I'll write a funny detail of his curriculum vitae. Having over 10 years experience in begging both during recession and the time of economic boom has positioned me to take up this role in a new location. I hate putting myself under pressure on a daily basis. Sitting by the roadside to beg from 7:00 am to 6:00 pm affords me the luxury of receiving fresh breeze under the mango tree and watching passersby while I plead for assistance. I love alternating my appearance on different days to either gain sympathy from people or being well dressed and acting like a responsible person who just misplaced his wallet. These two scenarios occur daily and in most cases, it is regarded as "normal". Developing a self esteem and conditioning the mind to achieve the best is fast eroding, especially amongst young people. I fought poor self esteem with all my blood and muscle. It has a way of stealing your confidence and belief in your ability. Having the feeling that I am not the best and I don't deserve the best ate so deep within. I began to cringe like a fowl soaked in the evening rain. When I see individuals with deflated confidence due to circumstances beyond their control, I seem to be on an automatic mode to ginger them up. Definitely, I cannot help everybody. But to the specific few, my aim is to see them track the source of that "inferiority complex" and go on to live better lives. I'll be starting some live video sessions soon on Facebook with a strong confidence in my heart that at least one person will be inspired. Even the decision to send out my daily post, published blog post and quotes is a fight to silence the low self-esteem that strives to rear its ugly head. 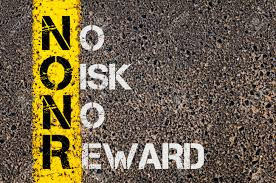 I choose to take a risk to be my best. Taking a risk or no risk is a big risk. It is a countdown to 1st March, 2017. 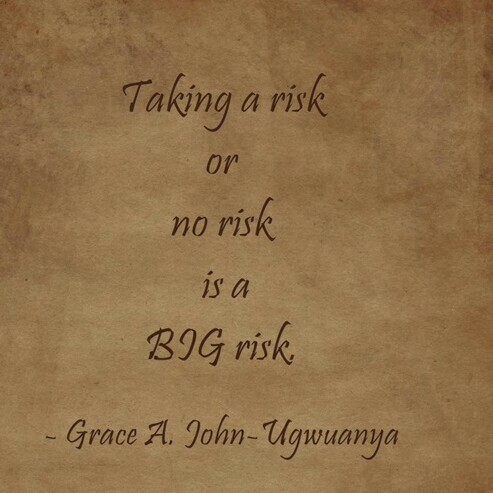 Take calculated risk to make this year better.